We should all be eating more goat. It's sustainable, ethical, highly nutritious and low in fat and has been an integral part of European, African and Asian diets since 3300BC. Why, then, does it remain so underused and misunderstood? Thanks to the efforts of James Whetlor from Cabrito Goat Meat, goat is once again on British restaurant menus and in homes nationwide. In GOAT: Cooking and Eating, James looks at the story of this versatile ingredient and offers 90 recipes from around the world that will answer the common question: ‘How do I cook goat?’ With dishes arranged by cooking technique James shows that goat can be cooked fast and lean, or slow-cooked in curries, stews, braises and roasts as well as make sausages, burgers, and kebabs. There is also a section for delicious seasonings, spice blends and marinades. From Kid Shanks with Chickpeas and Chorizo to Goat Tacos, Steamed Dumplings to Schnitzel, GOAT will encourage people to broaden their cooking repertoire as well as use more goat meat in everyday meals. Plus, there are original recipes from renowned chefs including Yotam Ottolenghi, Neil Rankin, Olia Hercules, Gill Meller and Jeremy Lee. Alongside advice on sourcing goat meat, James highlights issues within modern farming today, the involvement of artisan tanneries to ensure the use of the whole animal and Cabrito’s charitable work with Farm Africa. Fifty per cent of James’ author advance and royalties from GOAT: Cooking and Eating will go toward Farm Africa’s work to transform agriculture and help farmers in eastern Africa increase their harvests, protect the environment and sell their produce in thriving markets. Goat is a genre-defining book and essential reading for anyone with even a passing interest in food and the way we eat today and is set to be the definitive guide on the subject for years to come. Some of the country’s leading chefs, cooks, food pioneers and cookery writers are joining Hugh Fearnley- Whittingstall for a weekend of fun on the farm and food for thought at the River Cottage Food Fair on the late May bank holiday weekend. A food lover’s dream weekend, the Food Fair is taking place at the idyllic River Cottage HQ, a 65-acre organic farm in Axminster, on the Dorset and Devon border. This hugely popular annual event is a treat for all the family to learn new culinary skills, meet the animals and be immersed in a weekend of cooking, growing, relaxing and (most importantly) eating. Held on Saturday 26 and Sunday 27 May, the Food Fair is a must-visit for food-lovers and gardeners, to enjoy the sights, sounds and tastes of spring, surrounded by the rolling Devonshire hills, just a few miles from the Jurassic coast. The Food Fair has a fantastic line-up of food talent, including Tom Kerridge, Anna Jones, Melissa Hemsley, Nadine Levy Redzepi, Alex Hely-Hutchinson, Guy and Geetie Singh-Watson and Gill Meller plus more names to be announced soon. In the Food for Thought tent Hugh has curated a line-up of speakers, including writer and environmental activist George Monbiot, which promises to provide thought-provoking and possibly controversial, debate and discussion. The Fair is packed full of activities from chef demos on the main stage and culinary masterclasses including wild cocktails and spicy suppers, cooking over fire with Gill Meller, artisan food stalls, craft workshops, talks and live music to garden and wild food tours with River Cottage foraging guru John Wright. There’s also a new BBQ area where chefs will be sharing their techniques for cooking meat, fish and vegetables over fire. A team of River Cottage experts and friends will be on hand across the site to share culinary tips and gardening wisdom, throughout the weekend. Children under the age of 16 go free and will be kept entertained with a huge choice of activities including pasta and pancake making masterclasses, giant bubbles, games, craft workshops, meet the animals’ area, face painting, skittles and hula hooping – to name but a few. Tom Kerridge, chef patron of the 2 Michelin-starred Hand & Flowers in Marlow, will launch the Food Fair with a special feast on the Friday evening. Whilst at the Food Fair there will also be the chance to dine inside the iconic River Cottage farmhouse and enjoy a two-course menu for £20, featuring the very best seasonal and local ingredients. For those looking for food-on-the-go, there will be a range of street food stands as well as a fully licensed bar serving local ciders, beers, wines and seasonal cocktails under canvas. Those keen to learn something new can book onto one of the popular masterclasses. Starting at £20 these include Bread & Butter from scratch in an hour, River Cottage Ravioli, Wild Cocktails and Outdoor Cookery, whilst children can learn new skills such as Fresh Pasta and Pancakes. For more information and to book event and masterclass tickets, please visit the website https://www.rivercottage.net/foodfair. The River Cottage Festival will be at HQ on the weekend of 25-26 August and will feature a jam-packed programme of music, masterclass and festival fun. More information as the line-up is confirmed here. River Cottage has been a household name in Britain since 1998, when Hugh Fearnley-Whittingstall first brought his hands-on, ethical food ethos to our TV screens. Since then, the River Cottage books, TV series and Hugh’s hard-hitting campaigns have changed the eating habits of the nation, as well as improving the welfare of our farm animals and the sustainability of our fish. River Cottage HQ, situated on the Devon-Dorset border, is a thriving organic smallholding. It’s also home to a cookery school and chefs' school, and the base for unique dining experiences and events including weddings and private parties. There are River Cottage Canteens in Axminster, Bristol and Winchester. These award-winning restaurants and delis manifest the River Cottage philosophy by using the very best seasonal ingredients from the surrounding area. Alongside fresh, seasonal fruit, veg and wild foods, the Canteen menus showcase fish and shellfish from West Country day boats and organic meat and dairy products from local farms. Corazón host exclusive collaborative dinners with some of the most exciting producers the UK has to offer - launching with James Whetlor from the award winning, Cabrito. Mexican inspired restaurant Corazón in Soho will launch the first of their one-off producer led dinners aimed at celebrating their love and appreciation for independent and innovative UK producers. On Wednesday 31 January, chef and co-founder Paul Daniel will team up with James Whetlor of Cabrito, the award-winning kid goat supplier and specialist. As an ex-chef, James founded Cabrito in 2012, feeling he should do something about the waste of male billy goats by the dairy industry – he thought that there had to be a better solution than euthanizing them as a by-product at a few hours old. Calling on his 10 years’ of chef experience and contacts, James set up Cabrito Goat Meat and began working with goat dairies to supply some London’s most celebrated restaurants. This ticketed event, priced at £35pp, will include an introduction to Cabrito by founder James, followed by a 3-course Mexican inspired menu designed to celebrate the meat’s unique and complex flavour profiles, from Corazón’s Paul Daniel. Chef and Co-founder Paul Daniel comments: "Our kitchen at Corazón is committed to experimentation and taking Mexican food a few steps forward – always a little better, a little different. We use the best quality ingredients, all in-house prepped, of course – and we also love to get the diner comfortably out of their comfort zone, with the odd authentically adventurous dish. Goat meat may not be seen as the norm in the UK, but in fact eating goat is very popular in Mexico and South Texas. The meat lends itself very well to the slow cooking we do so much of as it retains its moisture so beautifully. We teamed up with Cabrito for this one-off collaboration to really showcase just how delicious eating goat can be – what a perfect way to start what we hope to be many partnerships with some of the UK’s most celebrated producers!" The new Managing Director of Beer of Curious Brew, Gareth Bath, is hosting a curious dinner at 7pm on Thursday 22 February 2018 at Swan Chapel Down. The evening will include a tutored tasting of the range of Curious Brewery beers and cider followed by a Curious two course dinner. The menu offers locally sourced cod in a Curious Brew batter with triple-cooked Morghew Estate chips, paired with Curious Brew lager and Curious IPA and for dessert, Curious Porter steamed pudding, paired with Curious Porter. Dinner will finish with a glass of Lamberhurst Fine & Rare English Grape Brandy, described as 'utterly, completely, overwhelmingly, mouth fillingly delicious' by Jonathan Ray for The Spectator. Places are £40.00 per person (£30.00 for Chapel Down and Curious shareholders). To reserve your place, contact bookings@chapeldown.com or telephone 01580 766111. Places are limited and will be available on a first-come-first-served basis. Cheers! James Whetlor from Cabrito is joining Mark Hix at HIX Oyster & Fish House, Lyme Regis on 14 March at 7pm, for the final dinner in HIX’s Meet the Producer series. Celebrating a passion for the South West’s seasonal produce, guests will spend the evening with Mark and co-hosts James and Julian Temperley of Somerset Cider Brandy. and enjoy a four course meal with paired drinks showcasing the fantastic Dorset produce, starting the evening with a HIX Fix cocktail. The event is part of a series of Meet the Producer dinners taking place this winter, celebrating the food and drink, grown or produced right on our doorstep in Dorset. Tickets are £65 per person and can be bought here. The Yarrow Hotel at East Kent College was the latest venue to host a Chefs’ Lunch to raise vital funds for The Chefs’ Forum Educational Foundation. The assembled chefs and industry experts had the chance to sit back and relax for a change as they tucked into a delicious ‘Pay as You Can’ lunch which raised over £1400 to support 14-25 year olds entering the hospitality industry. The Chefs’ Lunch gave hospitality students at the college the opportunity to work with some of the best chefs in the country and an impressive number of East Kent College alumni were present, showing their support for the college and The Chefs’ Forum Educational Foundation. The meal began with Scott Goss (The Twenty Six) cooking a dish of pigeon tartare, apple and foie gras. The fish course of mackerel with beetroot and horseradish by Will Devlin from No Fixed Abode, followed. Cooking the main course was Bobby Brown of The Kentish Hare with a breast of duck with potato fondant, celeriac and Roscoff onion. Masterchef: The Professionals finalist Petrus Madutlela created a pre-dessert of buttermilk and calamansi iced parfait, white chocolate and baobab, influenced by his South African heritage. John Bingley of the Hythe Imperial Hotel rounded-off lunch with a lemon tart. Founder of The Chefs’ Forum Catherine Farinha said: “The Chefs’ Forum was created with the aim of making a positive change in the hospitality industry. It aims to connect chefs with education, suppliers with chefs and education with suppliers to help the industry unite and work towards the shared goal of showcasing the incredible talent we have here in industry whilst raising money for young chefs via The Chefs’ Forum Educational Foundation." The Chefs’ Forum holds 36 chef events a year across 9 regions. Its main objective is to bridge the gap between education and industry, bringing together top chefs, hospitality students and market-leading suppliers to trade. Calum Franklin from Holborn Dining Room at Rosewood Hotel, London is guest chef at The Twenty Six on Sunday, 3 December. Calum’s pies - which have fair claim to the biggest restaurant Instagram sensation in London - are the work of a man obsessed with pastry and will be main emphasis of his menu at The Twenty Six. The menu includes White Pudding and Mangalitsa Scotch Egg; Rabbit & Bacon Pâté en Croûte; Lobster Thermidor Tart; Braised Octopus, Chorizo Aioli; Squab Pithivier; 50 day dry-aged Beef Wellington and for dessert, Lemon Tart. Drawing on a wealth of culinary experience, Calum worked at a variety of renowned restaurants before taking the position of Executive Chef at Holborn Dining Room. His career began at Michelin-star restaurant, Chapter One in Kent. It was here he learnt the fundamentals of cooking and developed his culinary knowledge. Calum has focused on British cuisine for the last eight years and in doing so, it has become his speciality. He is passionate about using the best produce the country has to offer and feels strongly that British food needs to be championed so that diners “can be wowed by ingredients as well as cooking.” In the industry Calum has become recognized for his work in pastry, crafting pâté en croûte, savoury pies and seasonal offerings at Holborn Dining Room. Rosewood London won Best London Hotel 2017 at the GQ Food & Drink awards and recently launched The Pie Room, adjacent to the main dining space, which will sell fresh pies to passers-by via an open street-side hatch. Calum is also launching weekly pie making masterclasses in April 2018. Calum’s 6 course menu at The Twenty Six is £60 per person and will be served in one sitting for dinner on a long communal table to 26 guests. Guests to arrive at 7.30 for drinks to be seated for dinner at 8pm. Reservations are open on www.thetwenty-six.co.uk or call The Twenty Six on 01892 544607 to book. A deposit will be taken at the time of booking. Calum’s event is the last in a series of guest chef events during 2017, which has also included Gareth Ward from Ynyshir Restaurant and Rooms, Wales and Luke Richardson from Wreckfish, Liverpool. A new series for 2018 will be announced in the new year. Luke Richardson, head chef of Wreckfish, is cooking an 8-course guest chef menu at The Twenty Six on Sunday, 19 November. Wreckfish is the much anticipated fourth restaurant in Gary Usher's Sticky Walnut group, a former derelict building in Liverpool, that was renovated with a £200,000 crowdfunding campaign. The restaurant launched in late October 2017, with dishes such as caramelised pork cutlet with chorizo; cashel blue arancini with port poached pears; pan roast skate wing with brown butter dressing and gin cured trout with pomegranate molasses. Desserts include salted caramel tart; marmalade sponge and a matcha tea mousse. Luke began his career with Gary Usher in 2013, where he worked his way up to head chef of Sticky Walnut and now at Wreckfish. During Luke’s time at Sticky Walnut they were named the AA Guide’s Restaurant of the Year and are regularly listed in The Sunday Times Top 100 Restaurants. 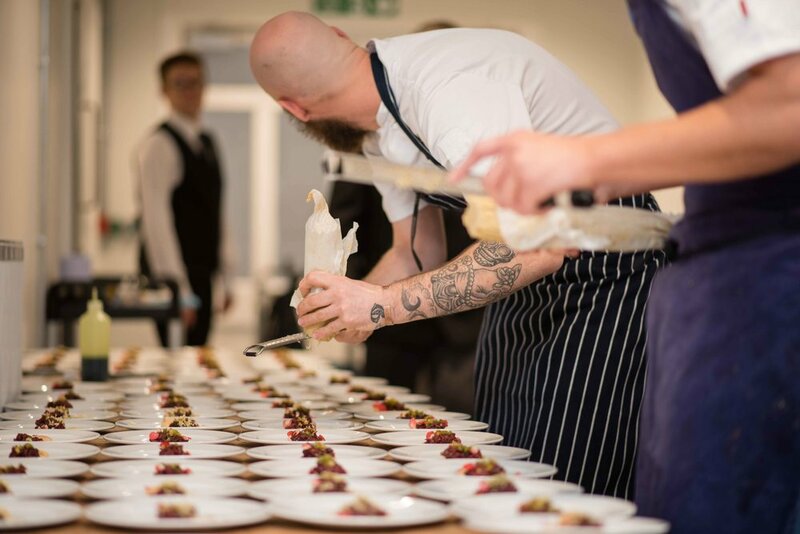 Cooking alongside Simon Ulph, head chef at The Swan Wine Kitchen and Scott Goss, head chef at The Twenty Six, Luke’s eight-course menu is £60 per person and will be served in one sitting for dinner on a long communal table to 26 guests. Reservations are open on www.thetwenty-six.co.uk or call 01892 544607 to book. A deposit will be taken at the time of booking. As this is a special dinner the restaurant is unable to cater for dietary requirements. Guests are to arrive at 7.30 for drinks to be seated for dinner at 8pm. Further events in The Twenty Six guest chef series include Calum Franklin from Holborn Dining Room, Rosewood Hotel, London on 3 December. The Elephant restaurant in Torquay has announced the first date in its next guest chef series. The seafront restaurant, which has retained its Michelin star for a 13th year, will be hosting some of the UK’s top chefs over the coming months. Simon Ulph is the first chef to take-over on Wednesday 22 November 2017. Simon is head chef at The Swan Wine Kitchen in Tenterden, Kent. Part of the I’ll be Mother family, The Swan is set in the award-winning Chapel Down vineyard and winery, one of the leading English wine producers in the UK. Simon is cooking a 5-course menu, with each course paired with a wine or beer from Chapel Down. Chapel Down wine expert Freddie O’Sullivan will introduce each beverage pairing. Simon has previously worked at Morimoto in Napa, California where he developed a passion for Japanese and Asian flavours, which strongly influence his cooking today and most recently as head chef of Thompsons on the Isle of Wight. The dinner is priced at £75 per person. As the evening involves the pairings being presented with each course, there will only be one sitting, which will begin at 7.30pm prompt. 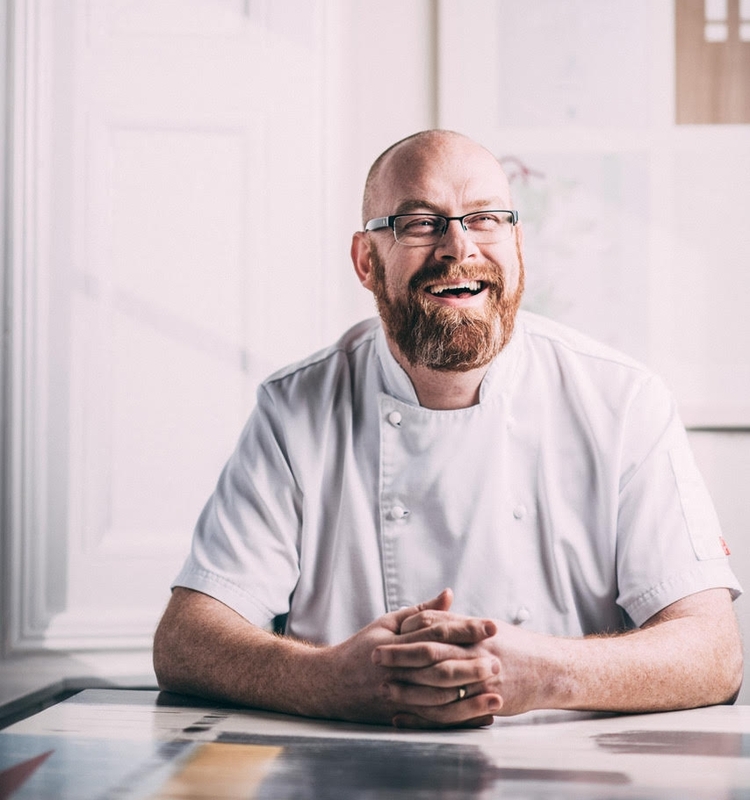 It will be the first guest chef event since Simon Hulstone and his wife Katy took over full ownership of the restaurant, following a management buyout from co-owners and business partners Friederike Etsemmi and Peter Morgan. Simon commented, “By taking over taking the restaurant, we are putting down roots in Torquay, where we’re all very happy to live. It’s not just about fantastic local produce and the stunning location for the restaurant, Torquay is our home and we can’t see ourselves anywhere else. Please call 01803 2000 044 or email info@elephantrestaurant.co.uk to book your table. Gareth Ward, chef Patron of Ynyshir Restaurant and Rooms is cooking a nine-course tasting menu at The Twenty Six, Tunbridge Wells, Kent on Sunday, 17 September. Tucked away between the golden sands of Borth Beach and the rugged mountains of Snowdonia National Park, Wales, Ynyshir is a Michelin star, four AA rosette restaurant with rooms, and is number 12 in The Good Food Guide 2018. Gareth’s menus reflect seasonal availability of Welsh and British ingredients from both sea and land, including Dyfi Valley Welsh lamb, wild deer, duck and partridge, foraged sea herbs at Ynyslas beach and wild garlic in the Cumbrian mountains. The kitchen garden provides a bounty of herbs and vegetables throughout the year. Ynyshir is about landscape and locality and the driving force in Gareth’s food is flavour. His menus take the guest through clearings and forests, sea and beach, mountain and pasture. It is seasonal in the traditional sense - using ingredients when they are ready and pickling or fermenting, salting or preserving to carry the kitchen through winter and into Spring. Cooking at The Twenty Six, Gareth and his team will create a dining experience to showcase Ynyshir, that takes guests on a creative journey through Wales and the British Isles. Gareth’s nine-course tasting menu at The Twenty Six is £60 per person and will be served in one sitting for dinner on a long communal table to 26 guests. Guests to arrive at 7.30 for drinks, to be seated for dinner at 8pm. Reservations are open on www.thetwenty-six.co.uk or call Jenny Cook on 01892 519882 to book. A £20 deposit will be taken at the time of booking. Further events in The Twenty Six guest chef series include Nathan Eades, Simpsons on 22 October; Luke Richardson, Sticky Walnut on 19 November and Calum Franklin, Holborn Dining Room on 3 December. Broughgammon in Ballycastle, Co.Antrim is taking part in this year’s national #Goatober, the UK’s only month-long celebration of the dairy billy goat meat industry with Cabrito Goat Meat. With events in London, Bristol, Manchester, Somerset and Amsterdam, Goatober is now an international event. Broughgammon Farm, run by the Cole family has its own artisan on-site butchery, run seasonal cookery, butchery and wild game classes and have a farm shop selling the best of Northern Irish and Irish produce. They have won many awards including Euro-tourques Food Award 2017 in recognition of traditional and artisan production methods, excellent quality standards and outstanding contribution to Irish food. The Great British Street Food Awards 2017 Best Snack! Served on a Blanco Nino taco with pea guacamole, beet salsa, raw goats milk cheese and goat bacon topping. Argentinian style slow cooked kid over a hardwood fire, served with homegrown seasonal salads and local and homemade breads. Traditionally made with lard, the Broughgammon’s version uses the sweeter kid-goat suet and will be served with an autumnal compote. This is a West Country classic with a difference. I ate all of this in about 5 minutes. When the lovely folk at Good Things magazine asked for an Autumn recipe from The Twenty Six, Scott Goss knew immediately what he wanted to cook. Being the dedicated publicist I am, I volunteered to help on the shoot. Anyone who knows me really knows that my dedication is a thin disguise for 'gimme that plate of food'. It's so good and easy to make at home and is already a firm favourite. This is a hearty, family style dish with big flavours. Add a big bowl of mash (celeriac maybe? ), a decent bottle of wine (Australian Pinot Gris for me please) or more of the Kent cider and this is a delicious and slightly different take on a Sunday roast. The night before, or 24 hours in advance, mix the blackberries and cabernet sauvignon vinegar together and leave to pickle. Rub the skin for the crackling in rapeseed oil and salt and blister in a hot oven at 210 degrees for 20 mins. Turn the temperature down to 120 degrees for a further 2 hours. When ready to eat, season the chops and fry in a hot pan until golden brown on both sides. Put in the oven at 160 degrees for 12 minutes for medium. Mix the black treacle and wholegrain mustard together and spread on the chops while still hot from the oven. Rest for 10 mins. For a simple gravy, deglaze the roasting tray with the cider and reduce by two thirds and finish with a tablespoon of butter. Check seasoning and keep warm. Leaving the skin on, cut the shallot in half lengthways. In a non-stick pan with a little rapeseed oil, char the cut side of the shallot until blackened. Flip over and cook for a further minute. Turn off the heat and let the shallot cook in the residual pan heat. Chop or crumble the black pudding and fry in a little rapeseed oil in a hot pan until crispy. Add the chopped cobnuts or hazelnuts and the pumpkin seeds to lightly toast. Tear in the sage leaves, crisping in the black pudding oil for a further minute. Pile the black pudding crumble on top of the black treacle chop with the crackling, roast shallot and pickled blackberries on the side and a spoonful of cider roasting juices. The concept of fusion in food can be magical - when cuisines and cultures collide, combining flavours, ingredients and methods from around the world, creating new classics, the best of which become staples in our everyday lives. Pâtisserie master, James Campbell will be cooking a selection of desserts and petit four from his new book Japanese Pâtisserie at The Twenty Six on Sunday 23 July. The book and menu is a stimulation to the senses with a range of delicious and contemporary pâtisserie with a Japanese twist using ingredients such as yuzu, sesame, miso, matcha and wasabi. Michel Roux OBE, describes James as ‘a simply stunning pastry chef’. James Campbell has worked as a chef in Michelin-starred establishments across the world. In London, he was Head Pastry Chef at Gary Rhodes’ Michelin-starred restaurant and the award-winning Mandarin Oriental Hotel. It is in his current position as Product Development Manager for Marks & Spencer, that James’ passion for Japanese culture and ingredients truly developed through research and in-depth visits to Tokyo and Osaka. James was recently a semi-finalist in BBC Two’s Bake Off: Crème de la Crème. Tickets for James’s guest chef lunch are £45 for 6 courses including a glass of dessert wine and available online at www.thetwenty-six.co.uk or calling 01892 544607. Japanese Pâtisserie is by James Campbell (Ryland Peters & Small, £16.99) and photography by Mowie Kay. Events all over the country celebrating goat meat with chefs cooking from Duck & Waffle, Grafene, Hispi, HIX Restaurants, The Manchester Art Gallery Café, River Cottage, Roth Bar & Grill, Temper and The Jugged Hare. #Goatober is the UK’s month-long celebration of the dairy billy goat meat industry. During the month of October, restaurants across the country will be putting a goat dish pride of place on their menus and urging diners to try this delicious but much under-used meat. Roasted, raw, curried, baked, skewered, stuffed into a sausage, goat meat is delicious and versatile. First launched in London 2016 at ETM’s restaurant The Jugged Hare in Barbican, #Goatober saw over 40 restaurants take part and the launch event raised £6,300 for charity Action Against Hunger. Due to the huge success of last year’s launch event, this year it will be hosted at The Montcalm Royal London House Hotel on Finsbury Square, which houses ETM’s rooftop restaurant and terrace bar Aviary and all-day café Burdock. #Goatober UK has been launched by ethical meat champion and producer James Whetlor from Cabrito Goat Meat. The original #Goatober was launched in America in 2010 and was the brainchild of Heritage Radio Network Executive Director, Erin Fairbanks, and renowned New York cheesemonger, Anne Saxelby. It is now an annual campaign every year in October which sees Heritage Foods USA partner with goat dairies around upstate New York and Vermont to purchase their unwanted males. Over 50 New York City restaurants feature goat on their menu for the full month of October including Gramercy Tavern, Babbo, Spotted Pig and Bar Boulud and the campaign’s success continues to grow. To mark the launch of #Goatober, six competing chefs will each serve a goat inspired dish at a ticketed event at The Montcalm Royal London House Hotel, Finsbury Square, starting with Black Cow Vodka cocktails. Tickets for the event are £95 per person which includes a £10 donation to charity Action Against Hunger. Each savoury dish will be wine paired by ETM’s Head Sommelier Gui Mahaut, followed by petit fours and coffee. A charity auction, hosted by journalist and food writer, Joe Warwick, will follow dinner with all proceeds going to Action Against Hunger, an international humanitarian organisation committed to ending child hunger around the world. Tickets can be booked here. Still on the Move is the UK’s first ever mobile gin distiller. Affectionately known as ‘Ginny’, the authentic copper still on a vintage 1937 VW truck tours the country, packed full of different spices and botanicals, spreading the joy of gin. The Garden Lane G&T is a favourite at The Beacon so the bar team were keen to experiment with flavours and botanicals to create a small-batch premium gin that is totally unique. All gin must have a dominant flavour of juniper, but the plan was to not just create a regional Kent gin, but something that has flavours and aromas specific to The Beacon in the 17 acres of woods, that surround the restaurant. On the palate Mother's Ruin is a strong, well-rounded and balanced gin with hints of citrus, green cardamom and coriander seed with earthy undertones complimented by garden botanicals foraged in the grounds including wild fennel and wood sorrel. Head barman Jim Harrison recommends the house serve with a slice of grapefruit, juniper berries and a few wood sorrel leaves, served over fresh ice and Fever Tree tonic water. Raise a glass, the Ginaissance at The Beacon is well and truly here. Cheers! Wild, pretty, tasty. And free. I can't resist sharing this recipe by Scott Goss, executive chef at I'll be Mother, which is in the June/July issue of Good Things Magazine. Wood sorrel is easily spotted in early Summer as it has beautiful, fresh green, heart-shaped leaves and delicate white, pink-veined flowers. It forms distinctive clumps in woodlands and shady hedgerows. Tasting of juicy green apples and lemon, it's mouth-puckeringly delicious. In each serving bowl, place a tablespoon of ginger biscuit crumb, just enough to sit a scoop of sorbet on. Spoon in a tablespoon of rhubarb compote and go crazy with the wood sorrel and fennel fronds. A few microplane thin slices of raw wild rhubarb will finish the dish with a lovely sharpness. Respect Mother Nature. She's giving you a free feed. Scott Goss, executive chef of the I'll be Mother group is in the June/July issue of Good Things magazine sharing his passion and knowledge for foraging and eating wild food.